Triceps dips are highly effective for strengthening those tough-to-tone back arm muscles, but they’re not for everyone. Because of the body position that they require, dips put extra force on your shoulder joints—increasing your risk of developing rotator cuff problems, explains Jessica Matthews, MS, E-RYT and American Exercise Council (ACE) Exercise Physiologist. Triangle push-ups target not only the triceps, but also engage muscles in your chest, shoulders and core—giving this move more bang for your exercise buck without the increased risk of injury. 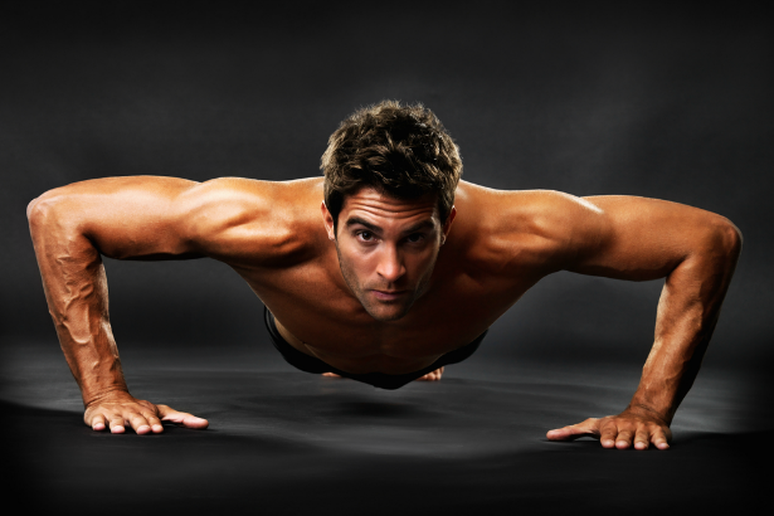 Bonus: In one study, triangle push-ups were called the “gold standard” of triceps exercises, requiring the greatest amount of muscle engagement of any triceps move. Sure, pull-ups seem badass. 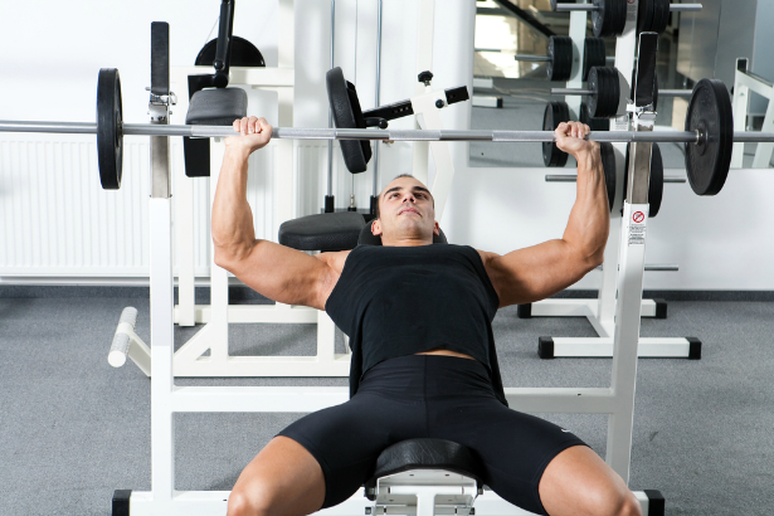 But, to complete a set (or, heck, just one), you have to start from a dead-hang—and that’s problematic, according to Ben Hendrickson, NSCA-certified master-level trainer at the Chelsea Piers Sports Center in New York City. 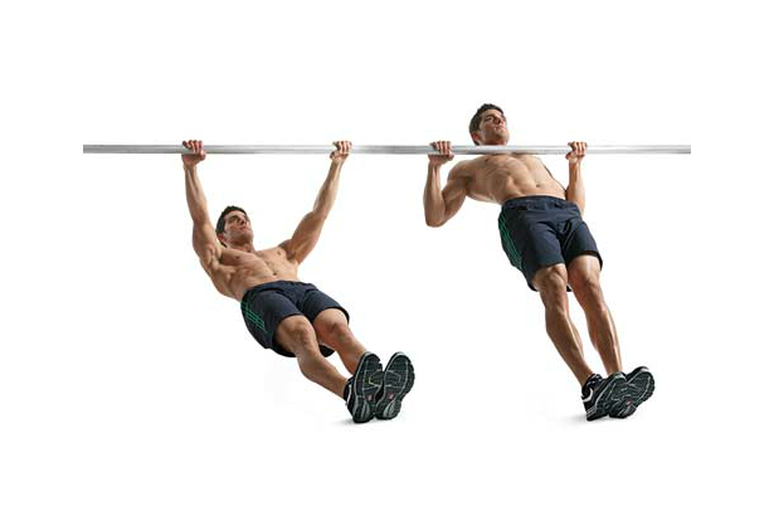 “A lot of people simply don’t have the shoulder flexibility or strength to safely hang vertically from their arms,” he says, “which can put unnecessary—and dangerous—pressure on your shoulder bones and muscles.” Plus, as the New York Times recently (controversially) pointed out, women and individuals with certain body types may have trouble completing just one pull-up—even with the muscles for it. Skip the unnecessary strain on your shoulders, and give your body a balanced workout. 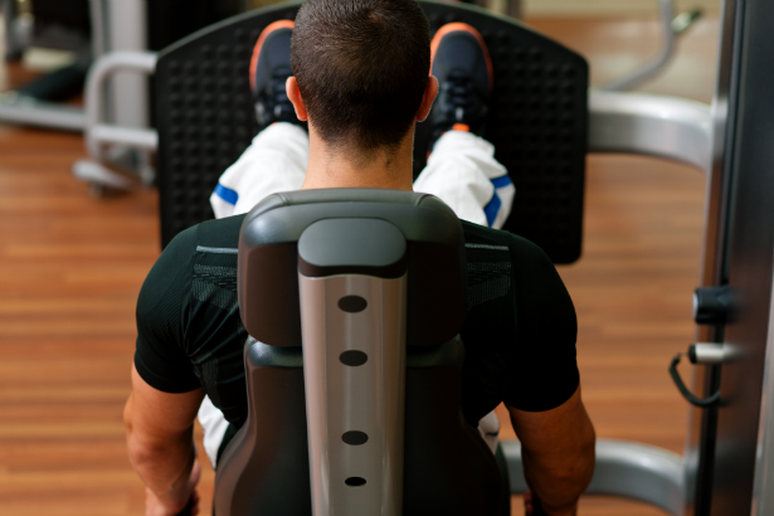 “The inverted row improves your posture and can help—or eliminate—back pain” Hendrickson says. And when you hit the oft-neglected rear-shoulder and upper-back muscles, you’re more likely to maintain balanced upper body muscles—which is tied to a reduced risk of injury. Plus, this move is gender (and body type) blind. Engage every muscle in your legs and challenge your core with this variation on lunges. “Enjoy the variety while you develop the kind of strength that you’ll notice next time you take the stairs or carry a heavy load,” Gould says. As the lunges become easier, simply add hand weights to continue to see full-body results. 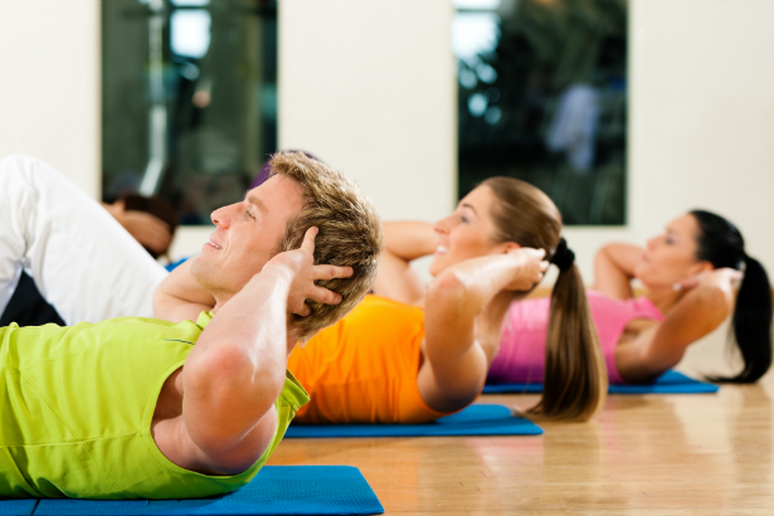 This gym-class standard needs an update: According to research from San Diego State University, the traditional crunch is the least effective strengthener for both the rectus abdominus (6-pack muscles) and the obliques (waist muscles). What’s more, because sit-ups require more strength from front ab muscles than obliques, this move can create a strength imbalance in the core—setting you up for back problems. 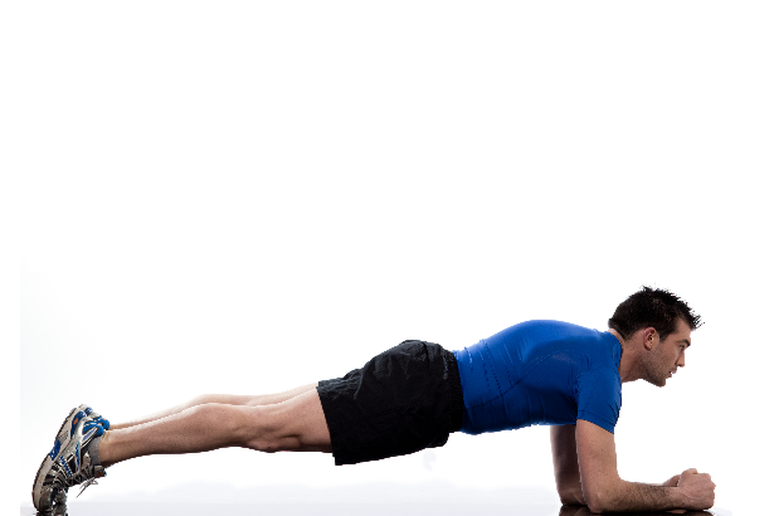 Not only does the plank require more muscle activation in the obliques than the traditional crunch, according to research, but researchers have also found that practicing this position can actually help lower the risk of developing lower back pain later in life, according to Matthews. Why? “The plank targets your abdominal muscles, helps to build muscular endurance and spares your spine in the process,” she says. 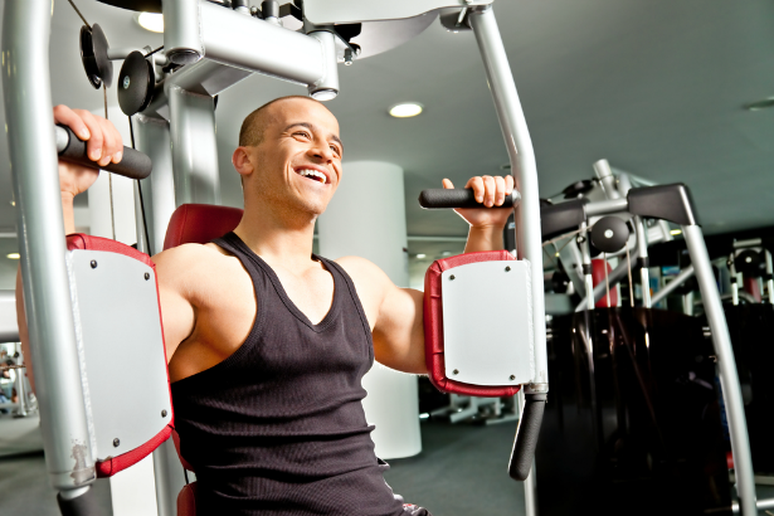 While research has found that the pec deck machine is a great way to build chest muscle, the fact is that this machine puts your shoulder joint in an extremely vulnerable position, as it simultaneously rotates and abducts, according to Matthews. While this is especially dangerous for those with shoulder problems, using this machine can also cause injury in otherwise healthy exercisers. Engaging the same muscles as the Pec Deck, the Bent-Forward Cable Crossover allows you to build strength quickly and effectively—without unnecessary risk to your joints. Push-ups are a safe and (happily) equipment-free exercise that builds muscle in the pecs, triceps and shoulders while developing core strength. What's more, it can be modified dozens of ways to work different muscles or increase the intensity and complexity of this tried-and-true, basic movement. There's a reason it was the foundation of fitness icon Jack LaLanne's routine.